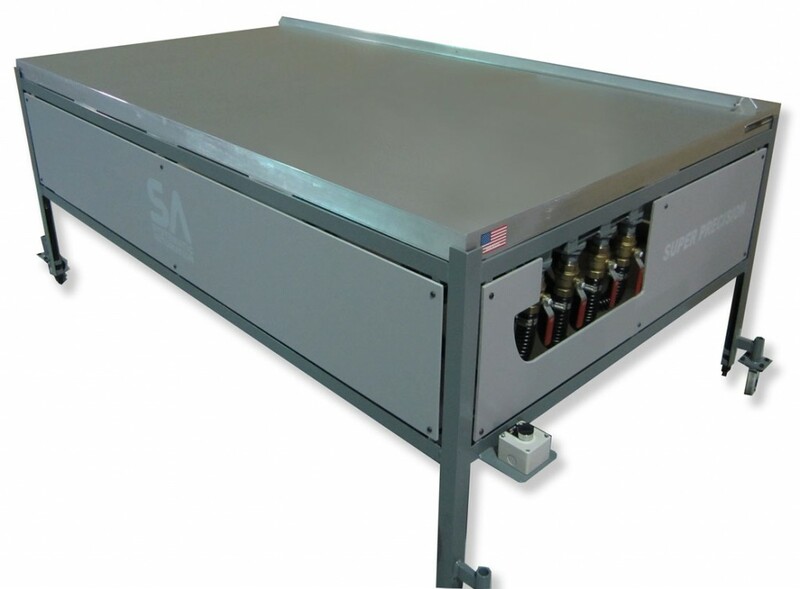 The purpose of a vacuum table is to hold the substrate into position. There can be a variety of different vacuum applied to the table depending on what type of horsepower pump you decide to purchase, along with the size of the vacuum table. To make all things simple, lets call the area of holes “the vacuum zone”. You need a substrate to cover as much of these holes as possible. The purpose of this is to avoid leakage of air. Any leakage of air will decrease the vacuum applied to the substrate. Vacuum tables are versatile, you may have have them positioned any way on your manufacturing process. It can pick up material as it passes though a conveyor or it can simple suction material before it is printed on. You may chose to have the vacuum port on the bottom or side of vacuum table. The vacuum port is where the vacuum hose is connected in, which is fed to the pump. You may have have multiple substrates to put on a vacuum table at a time and not want to purchase a dedicated vacuum table for each substrate. In which case you have a few options to remedy the situation. You may make a template to cover all of the vacuum while it is not being used. This method will be used concentrate the vacuum for the particular substrate. You can do this for each substrate you have. This may be somewhat time consuming. Another option would be for you to have zones to your vacuum tables that are actuated by valves. Each valve would actuate a different zone on the vacuum table, which would have a different substrate on it. This would be the ideal solution when having multiple substrates on a particular vacuum table while remaining optimum vacuum force. No action may be required, leakage is not necessarily detrimental for production. The amount of leakage must be sufficient enough to compromise the vacuum of the material. The material you are working with may be sensitive to aluminum. To avoid scratching the surface of the material, we offer different top to skin. 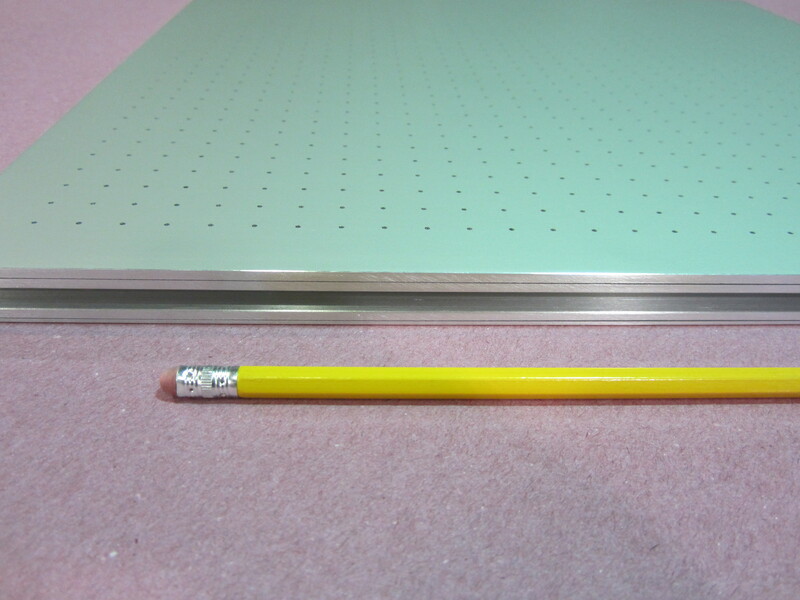 We have found that the material formica minimized any sort of scratches once put on a vacuum table. We reserve the formica top layer for our most sensitive material. The temperature the vacuum table will be exposed is also a factor the requires addressing. Our epoxy working temperatures range from 125 degrees fahrenheit to 500 degrees fahrenheit. There are no short cuts in searching for the correct vacuum table. Systematic Automation offers a variety of additional options to compliment your production process. We have been manufacturing vacuum tables for over 30 years.